Laminate is often considered to be the most budget-friendly material kitchen worktops. These worktops are available in a wide variety of colours and designs, so you’re sure to be able to find the perfect laminate to fit with your current kitchen decor. Laminates are also non-porous and easy to clean and maintain, making them one of the most child-friendly options. Granite worktops are a fashionable choice of kitchen worktop due to its luxurious appearance, which can often become the focal point of the room. Strong, functional and durable, granite worktops are one of the most logical choices of kitchen worktops – if your budget will allow. Granite worktops are also a popular choice among keen cooks and bakers as its cold surface offers the ideal setting for pastry making, among other things. A solid wood worktop can truly transform your kitchen. Whether you’ve currently got a contemporary or traditional kitchen – a wooden worktop will seamlessly blend with your current decor. 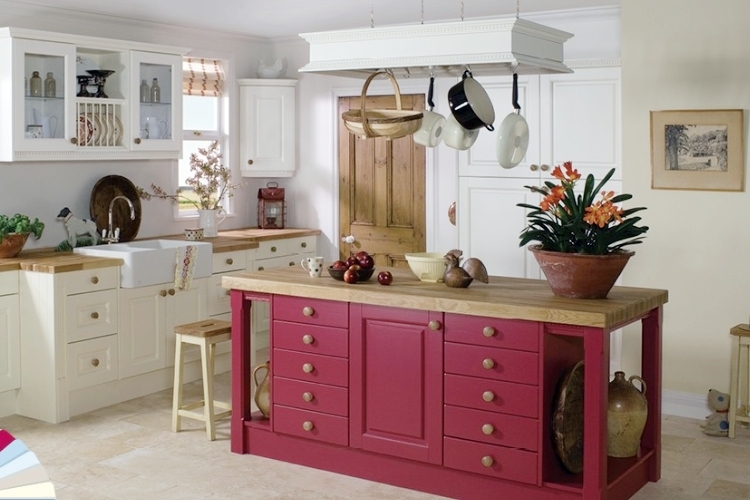 Even as it ages, wooden worktops still look incredibly warm and full of character. Some popular choices of wood for worktops include; oak, walnut and beech. 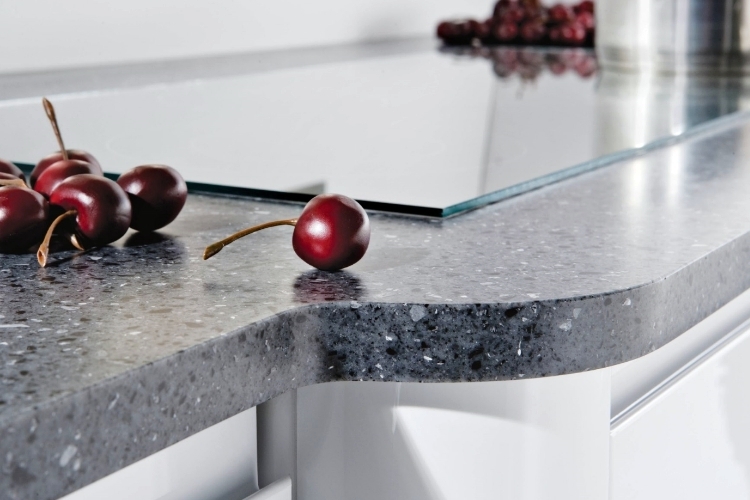 Glass kitchen worktops can add a chic, contemporary feel to your kitchen. A glass worktop offers a sleek, glossy and stylish finish and can make a small kitchen feel larger due to its reflective surface. Available in a huge range of different colours and designs, glass worktops can help you to truly customise your kitchen. Most commonly used in professional kitchens, stainless steel kitchen worktops offer many benefits. They’re best suited to professional kitchens due to the fact that they’re highly resilient and extremely hygienic. Similar to glass, stainless steel can create the appearance of a larger, brighter kitchen – especially with the use of strategically-placed lights. Solid surface worktops are perfect for creating smooth, fluid shapes which can be customised according to your preference. These worktops are made from a combination of acrylic resin and natural minerals, which is what makes them so customisable. Quartz kitchen worktops are made from a man-made granite and offer an array of benefits. They are highly customisable as they’re available in a variety of styles and colours to suit any style of kitchen, although they’re better suited to a more contemporary-style kitchen. As it is non-porous, Quartz is extremely hygienic, stain resistant and scratch resistant, although it can be easily damaged by heat. Choosing your kitchen worktop is an exciting process, but a huge investment. Take your time choosing your worktop to ensure you find the perfect worktop to suit your needs. About the author: Trade up kitchens is a family-run kitchen supplier, providing all types of kitchenware including work surfaces, accessories, units and furniture to name just a few. They are passionate about providing their customers with the best possible prices to help them to create their dream kitchen. So…there you have it. 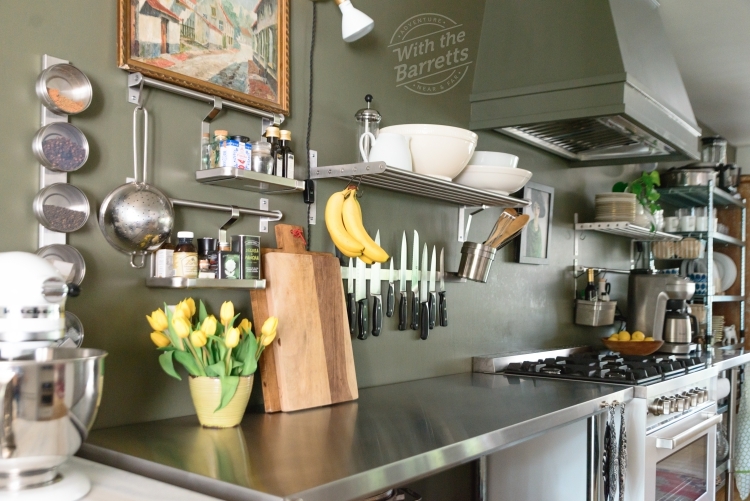 Many thanks to John Stuart from Tradeup Kitchens for this guest post on “kitchen worktops.” Go take a look at their site – they do wonderful work. I know that some of With the Barretts’ readers live in the UK. If you’re in the market for a new worktop, give them a try. Many, many thanks for reading. We love having you along With the Barretts! Here’s hoping that your Holiday Season is safe, peaceful, and memorable in the best of ways – brimming with joy!